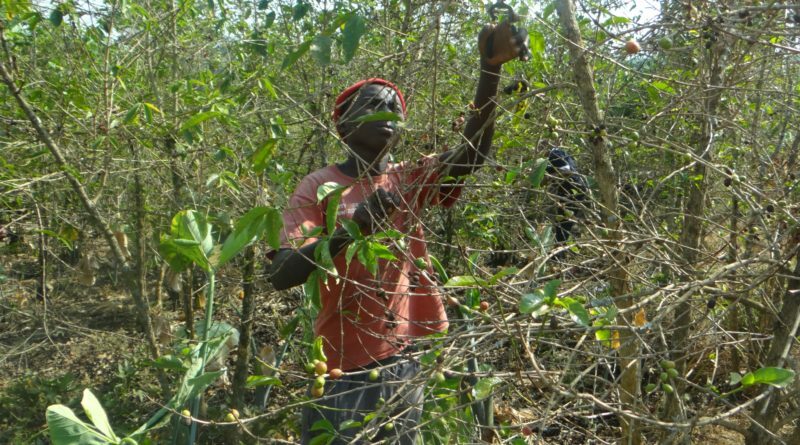 Budance Hategekimana, a coffee farmer from Karengera Sector of Rwamagana District, has lost two tonnes of his harvest due to a disease that attacked his plantation, leaving him struggling to meet his family’s basic needs. Speaking to The Inspirer on Saturday July 28, 2018 during the monthly Umuganda community work from a coffee plantation in Karenge Sector, Hategekimana said that he lost 2 tonnes during the current season. A couple of years back, Hategekimana and other farmers in the area could have good coffee harvest, before an outbreak. 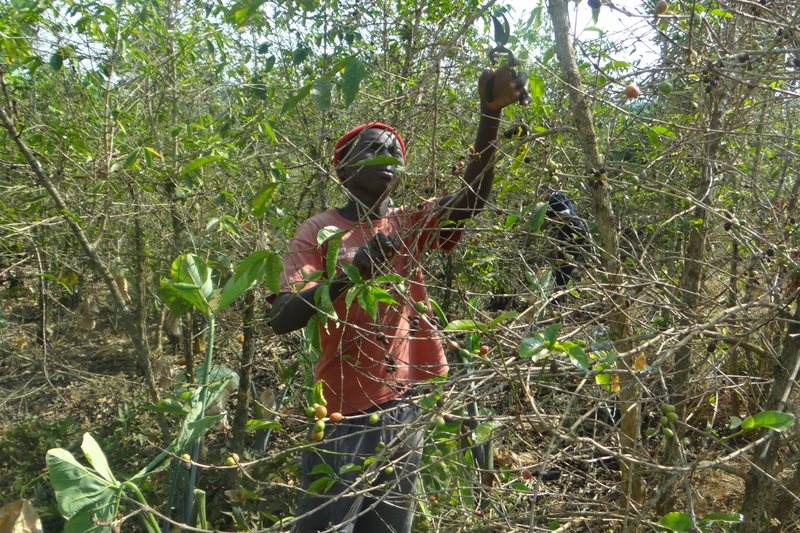 Hategekimana is struggling to tackle current financial problems that his family is facing owing to loss of yield and calls for Government interventions to combat the pest that weakens a coffee tree before making it withered. This farmer said that coffee agronomists tried to help them and got closer to teach them how to handle coffee plantations to ensure good growth and productivity but the Dieback pest came abruptly as an outbreak. He said that he had never seen such a disease since he started practicing coffee farming. 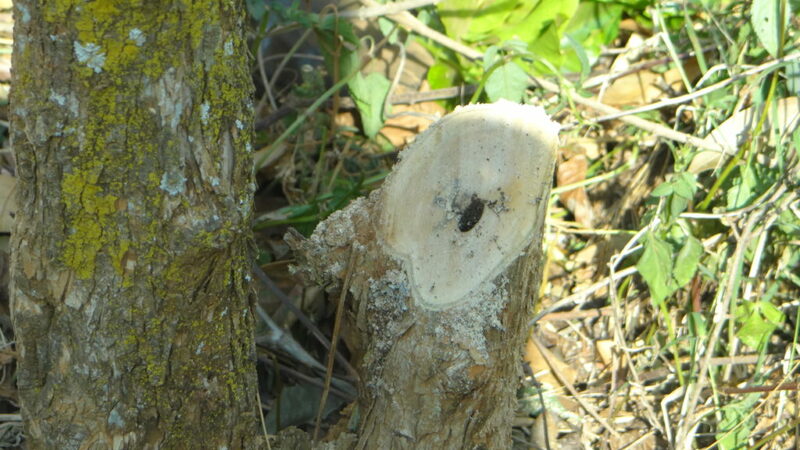 “This is the first time I have seen this disease in coffee plantation,” he said explaining that the plantation started wilting between March and August this year, 2018. “We request the government of Rwanda to help us find proper pesticides to kill the pests to save our coffee plantations,” he appealed. Jean Damascene Nganabera, another farmer among many others living by and practicing coffee farming in this sector said officials reassured them that their coffee plantations will recover very soon. “We were told that this is not a disease at all, that it resulted from a high quantity of green coffee cherries on tree, making the leaves to be reduced as they shed. 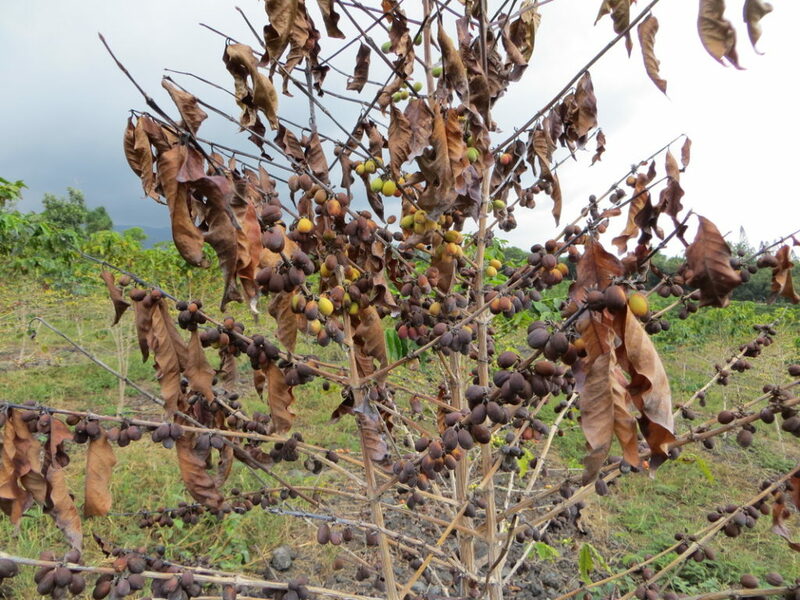 Dieback disease undermines not only a coffee tree but also green coffee cherries are withered. Hategekimana could have a good yield before but due to the disease he failed to get even a half of the yield. “I harvested one tonne last year but now the disease reduced the yield drastically,” he said. Much fertilizer as root cause? Hategekimana said that officials say that much fertiliser used to foster the growth of coffee trees is to blame for the disease. 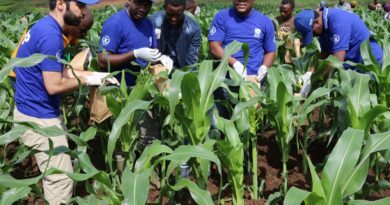 “Agronomists said the reason was the use of much quantity of fertilizers that exceeded the quantity of manure fertilizers and they promised changes in the following season,” said Hategekimana. 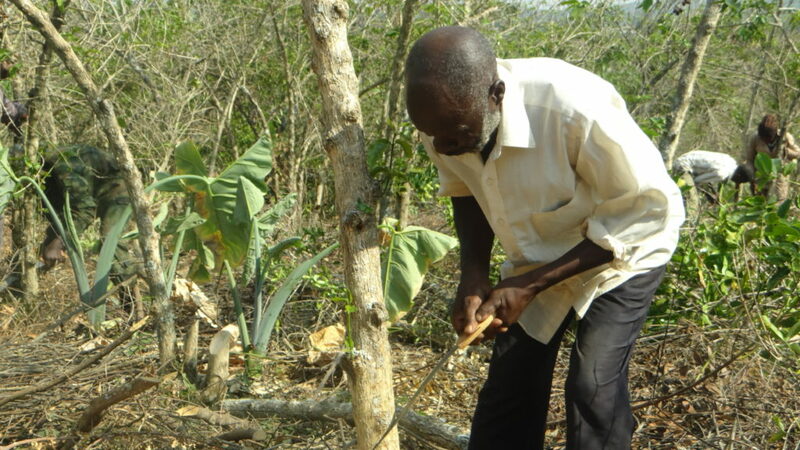 An old man cutting off an attacked coffee tree in Rwamagana District./Photo:Elias Hakizimana). 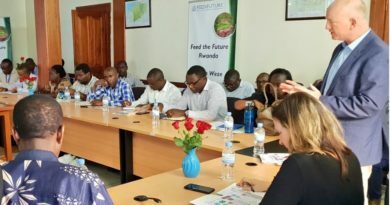 Late in this July, 2018, the National Agricultural Export Board (NAEB) kicked off an initiative to improve old coffee plantations in the country which will be part of solutions in combatting dieback disease. 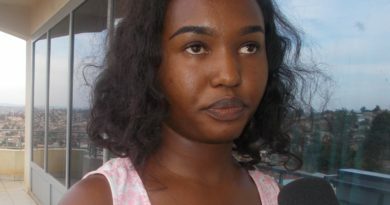 Claudine Kantarama, the NAEB official in charge of Coffee Plantation in Eastern Province and Agronomist of Rwamagana District said that the dieback disease did not cause losses to farmers as they mentioned, because it followed a huge increase of yields due to much fertilizer.